November and December are, indeed, my favorite months. While we focus on our Thanksgiving blessings in November and give thanks for the many gifts we have received, we quickly turn the calendar to December, where we shift our attention to the joy that comes from giving. During my time here, your gifts have so graciously come to us in a number of different forms. Besides your monetary support of our girls, I have witnessed the overflowing abundance of time, talent and treasure - all gifts that bring meaning and pride to this amazing institution that we call McAuley. Your support - in whatever shape it takes - makes a difference. And for that, we thank you. Giving back to McAuley is giving forward to future McAuley girls. 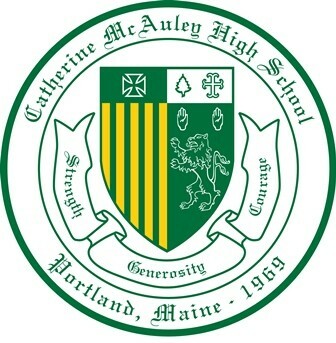 If you value McAuley and the advantages of Maine’s only all-girl high school, please make a gift to the Annual Fund today. 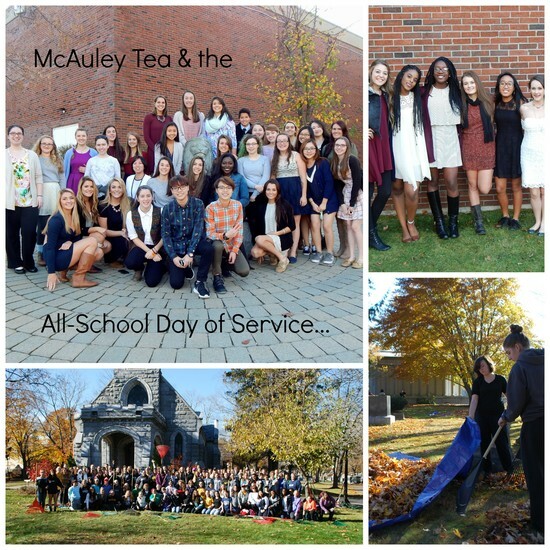 November brought the McAuley Tea and our annual All-School Day of Service - both cherished, time-honored school traditions. Click here for the Social Media Club's video coverage of the Tea and here for a write-up on our Day of Service. ...that our Social Media Club began a video production/vlogging campaign this year to promote McAuley events and activities? Check out their fantastic (and fun!) 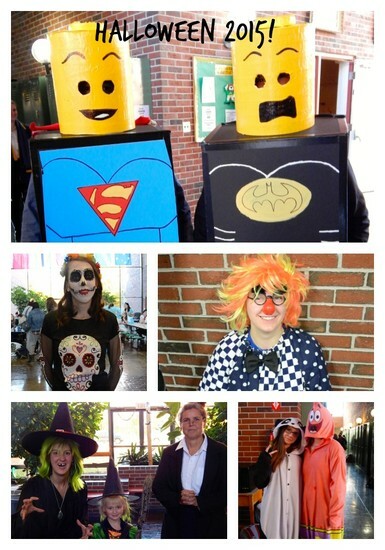 coverage of some of our other special events - Homecoming and Halloween 2015! The next Alumnae Association meeting is December 14! For time and location details, please contact Leslie Tremberth '96 (ltremberth@hotmail.com) or Katie McCarthy Faust '96 (katharine.m.faust@gmail.com). Your ideas, enthusiasm and support are greatly appreciated! McAuley - A School That Shines! In November 2015, WCSH 6 selected McAuley as a “School That Shines” for the integrity and innovation of our Social Media Club. Check out our 30-second PSA!